If you're curious about what we do and want to look at some examples of our garage door work, just scroll down on this page and take a peek! Customer Issue: The customer decided to have new extension springs put in before they could become a problem. 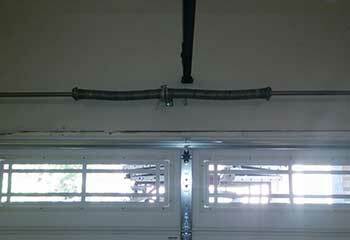 Our Solution: After locking the garage door open, our team carefully loosened the caps to ease out the last of the pressure, removed the old springs, and installed the new one after cleaning the housings. 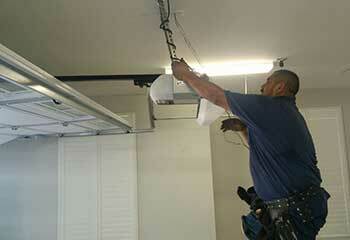 Then, they reconnecting the lift cables and opener. 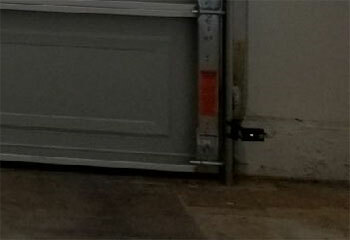 Customer Issue: This customer's garage door refused to open more than a crack before falling closed again. Our Solution: Our team found that Mrs. Mayweather’s opener motor was operating perfectly, but that the belt was tangled up where it connected to the door. Our team unplugged the opener and replaced the belt with a new, reinforced one, which completely solved the problem. Our Solution: We carefully examined the entire system and performed tests to get to the bottom of what was causing the problem. Our experts determined the sensors were tweaked and realigned them to solve the issue, allowing the door to shut properly. 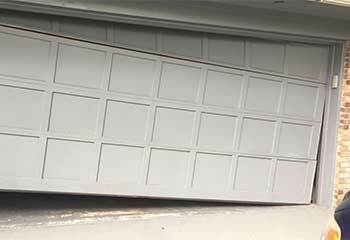 Customer Issue: Garage door out of place. Our Solution: After a thorough inspection we found the point where the door was no longer inside of the track as it was supposed to be. We pried the track open to shift the door back into place, and then closed the track. 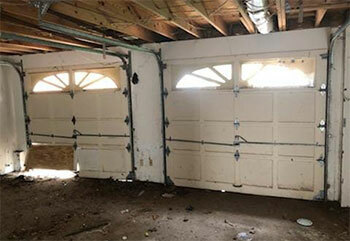 Our Solution: One of our experts removed the broken panel by unbolting it from the rest of the door. A replacement of the perfect size and color was installed in the opening and tested to ensure it was lined up properly and working properly.